The following is a guest post submitted by Scott Smith, Senior Associate at Mosteller & Associates. Last week I attended Recruiting in the Age of Googlization “boot camp,” an event hosted by the Lehigh Valley SHRM chapter. Author and speaker Ira S Wolfe from Success Performance Solutions was the presenter. Apparently, I wasn’t the only one in the area trying to find ways to help companies find more quality candidates faster. Fifty people attended this SHRM event, which I found surprising for a ½ day event in the middle of July that wasn’t free! A few companies registered 2 or 3 people. It just confirmed for me how difficult it is for companies to attract and hire talent these days. And just a few weeks earlier, I attended the monthly meeting for Berks County SHRM and the same thing happened. Again Ira was the speaker. The room was full and the audience engaged. Like the boot camp event, Ira shared a lot of information that just isn’t common knowledge yet … but should be. For now, his insights and tips provide a competitive edge in a tight labor market where every small edge helps. But the window of opportunity will close fast as more and more companies catch on. I’d like to share just a few notes I took during these two events. With 4% unemployment (and closer to 2% for jobs requiring a 4-year degree and advanced skills), most job seekers already have jobs. To get these people to “jump ship” and work for you, your company needs to offer a better opportunity. That better opportunity might be wages but is most often career opportunity, lifestyle, or a more engaging company culture. The patience of today’s candidate is limited. Job seekers just won’t put up with inconvenience on their journey to learn more about your company and apply for a job. Optimizing your employment brand and candidate experience are essential steps to winning to winning the race for talent. 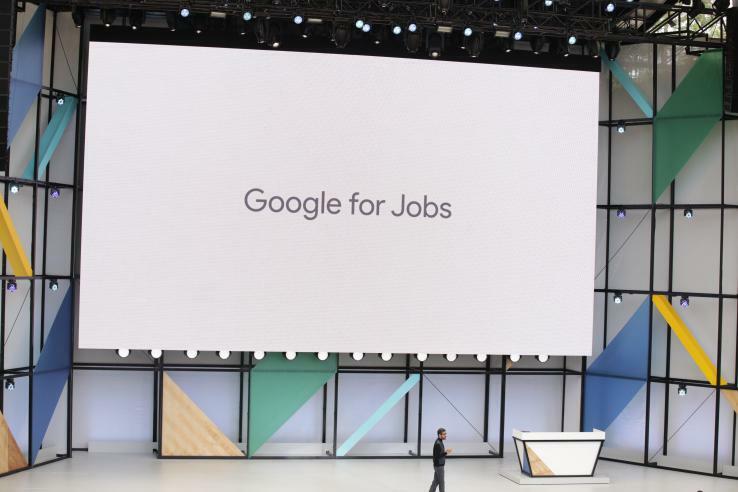 Google for Jobs has disrupted job search and most companies have no clue. For starters Google does not use Indeed in its job search algorithms. That’s a huge problem because about 70% of job searches (and 90% of passive searches) start with a Google Search. SEO (Search Engine Optimization) is an emerging critical skill for HR. HR either needs to learn SEO and SEM (Search Engine Marketing) basics or work with a marketing person who does if they want to start attracting candidates in today’s market. Most companies are still reluctant to include salaries in their job posts. But Google for Jobs “recommends” including it to rank high in Google for Jobs. Since 85% of companies don’t include, this piece of information alone will allow most companies to outrank the competition and hire top talent. Besides, if you don’t include it, Google will just provide a range of salary on your company’s job post it gathers from places like PayScale and Glassdoor. Company Career Sites are more important than ever. According to LinkedIn, 75 percent of job seekers research your company’s website before they apply. So if they land on your company’s website but can’t easily find your career site, they just stop looking. Make sure a path to your career page is visible on your company’s home page – either an image in the header or a tab on the main menu. This piece of information falls into “geeky” stuff. But don’t brush it off because it’s critical. If your job posts don’t include “schema”, your jobs will not appear in Google for Jobs. In other words, every job post must have “Schema Job posting structure data” added. Ira provided a great tip how to create the schema using Merkle Schema markup generator. All you have to do is fill in the required fields, generate the code, and have your web person embed onto the job posting page on your website. Make sure job titles are search optimized, don’t be cute. DO NOT copy and paste job descriptions. Job posts are landing pages which are web pages. You only have a few seconds to engage a candidate and a few more seconds to capture their interest. Don’t blow it. Candidate abandonment, drop off rates or bounce rates, average 50%-95%. People that don’t “need a job” won’t endure frustration trying to complete a long or clumsy application. Cumbersome applications might prevent you from attracting candidates. Use a two-stage application. The initial screen, or 1st stage, should be less than 20 fields, take no more than 10 minutes to complete, preferably even shorter, and be mobile. Getting all the information for the full application can happen much later in the process. Don’t require the applicant to set up an account and register before applying. Unfortunately this is the drawback with many applicant tracking systems. Replace cold & corporate language with warm & welcoming in all your communications with candidates Responses should be immediate and messaging consistent. Text messages are read 95% of the time, usually within 3 seconds, 98% within 3 minutes. Emails have only a 20% response rate. Don’t be a victim. Recruiters and HR need to involve hiring managers and gain their commitment to “help you help them” by being responsive and developing interview skills that are effective with passive candidates seeking a “better opportunity.” A united front will help your company hire top talent. Scott Smith is a Senior Associate at Mosteller and Associates. Scott can be reached at scott at mostellerhr.com.